You are at:Home»iPhone»My iPhone Notes Have Disappeared! Don’t Worry. The Fix! When Kim opened the Notes app on her iPhone, she noticed that a lot of her notes were gone. Did she accidentally delete them? Probably not. Not knowing where to find her missing notes, Kim asked for my help in the Payette Forward Community, and I was happy to take the case. 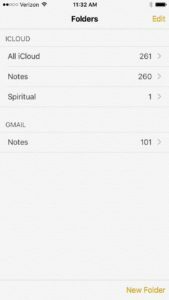 In this article, I’ll explain why your notes have disappeared from your iPhone, where they’re hiding, and how to get them back. Just like your email, contacts, and calendars, the notes you see on your iPhone are often stored “in the cloud”. In other words, the notes on your iPhone are usually stored on a server tied to your email address. When Notes disappear, they usually haven’t been deleted. The notes live on a server that is tied to your email address (Gmail, Yahoo, AOL, etc. ), and there is a problem between your iPhone and the server. 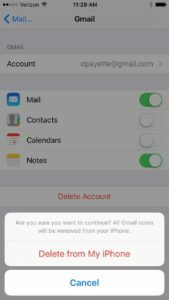 If you recently deleted an email address from your iPhone, you probably removed the notes from your iPhone too. It doesn’t mean they were deleted. It just means your iPhone can’t access them anymore. When you set up the email account again, all of your notes will come back. If you’ve been having trouble connecting to an email account lately, that could be another clue. Maybe you recently changed your email password online, but haven’t entered the new password on your iPhone. When you go to Settings -> Mail, Contacts, Calendars on your iPhone, tap on your email account, and update the password, everything should begin working normally again. How Do I Know Where My iPhone Notes Are Stored? Open the Notes app on your iPhone, and look for the yellow back arrow in the upper left-hand corner of the screen. Tap on that arrow and you’ll see a list of all the accounts that are currently syncing notes on your iPhone. You might see more than one. 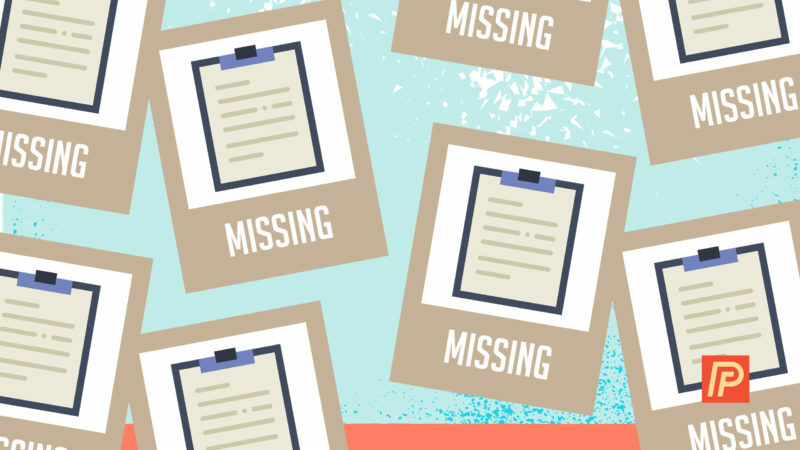 The first place to check for your missing notes is in each individual folder. Tap on each folder to see if your missing notes are stored inside. If you haven’t found your notes yet, the next place we’ll check is in Settings -> Mail, Contacts, Calendars. Tap on each individual email account and make sure that Notes are turned on for each account. 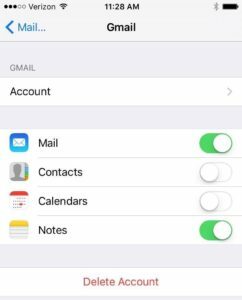 If you recently removed an email account from your iPhone, add it again and turn on Notes when you set it up. Go back to the Notes app, tap the yellow back arrow , and check each new email account for the missing Notes. It’s certainly not necessary to sync your notes across multiple email accounts. In fact, I discourage that because it can get very confusing! Right now, we’re trying to find your missing notes – that’s why we’re turning them all on. To stay organized moving forward, it’s important to know where you’re saving your notes. 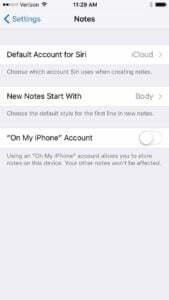 If you’re using Siri to create your notes, you can set the default account for new notes in Settings -> Notes. Otherwise, you need to be aware of which account you’re using when you create a new note in the Notes app. Before you create a new note, tap the yellow back arrow in the upper left-hand corner of the screen and choose a folder. The good news is that the Notes app should pick up right where you left off whenever you open it. My recommendation is to use as few accounts as you can to sync notes. After you “take an inventory” of where your notes are stored, I recommend going back to Settings -> Mail, Contacts, Calendars, and disabling Notes for the accounts that you aren’t using to sync your notes. On my iPhone, I use two accounts to sync notes. To be honest, the only reason I use two accounts is because I haven’t taken the time to switch my old Gmail notes over to iCloud yet. Ideally, most people should only use one account to sync their notes. Kim’s question about where her iPhone notes had gone was a good one, because it’s a very common problem. The good news is that this problem usually has a happy ending. When notes disappear from an iPhone, it’s not because they were deleted — they’re just lost. 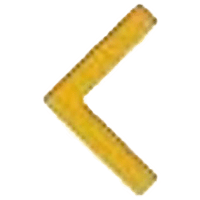 I’d love to hear about your experiences with recovering lost notes on your iPhone, and if you have any other questions, feel free to do what Kim did and post them in the Payette Forward Community. Previous ArticleShould I Enable Wi-Fi Calling On My iPhone? Yes! Here’s Why. Next Article iPhone Only Charges In Laptop Or Car, Not The Wall: The Fix!